Matthew Wright is the new CEO of Destek Markets UK Limited, following its new FCA license. Destek Markets, a Turkish provider of foreign exchange (FX) and contracts-for-difference (CFDs), has made major moves recently, procuring a license with the Financial Conduct Authority (FCA) for its UK entity, Destek Markets UK, while also injecting new leadership into its UK branch, Finance Magnates has learned. Destek Markets UK Limited recently garnered FCA approval (Reference number: 739949) and licensing earlier this month. The approval is instrumental for the group as it looks to expand its UK offering, which is now a fully authorized member in the country as a financial services provider. The group has a diverse offering of FX and CFDs, including stock indices, metals, and other commodities. Destek Markets UK Ltd was originally incorporated in the UK back in November 2015 in Greater London, having just received FCA authorization. In tandem with the new license, Destek Markets UK has also installed a new senior executive to help lead its operations. Matthew Wright has been appointed as the group’s newest Chief Executive Officer with immediate effect, who joins Destek Markets UK in London. Mr. Wright comes over to Destek Markets from Uptick Trading Ltd – he worked as a Managing Director with the group for just five months dating back to October of last year. 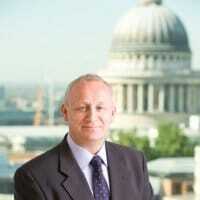 His most extensive tenure was with GAIN Capital Forex.com UK, which saw him hold the role of Chief Operating Officer (COO) for the Europe, Middle East, and Africa (EMEA) region. “To succeed in this market we will need to deploy a forensic focus in all areas of the business which we will do by employing and motivating the best staff, and utilising technology wherever possible to create operational efficiency and with that the best client experience,” he added. Good luck to everyone. So many brokers, who can choose anymore. And here comes another retail broker…. Consolidation cannot come soon enough.